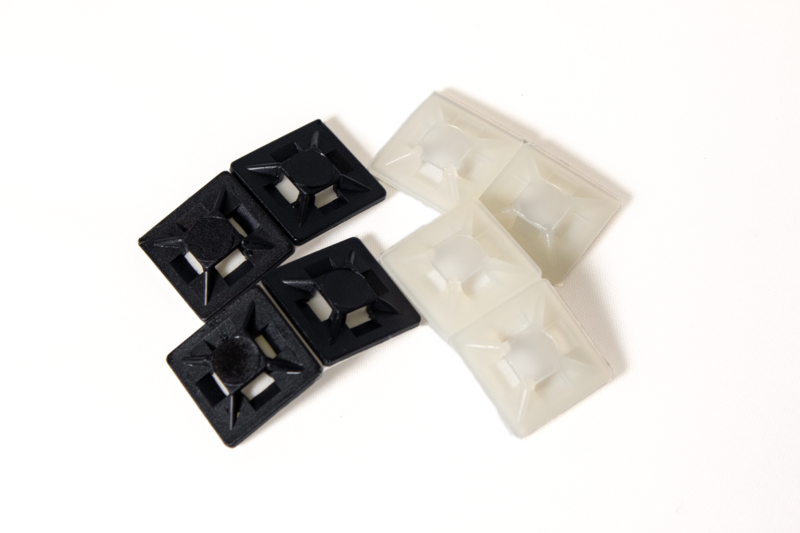 Our 28mm Self Adhesive Cable Tie Mounts allow entry from four sides to facilitate error-free mounting of cable ties up to 4mm in width. Cable tie base with a self-adhesive pad. 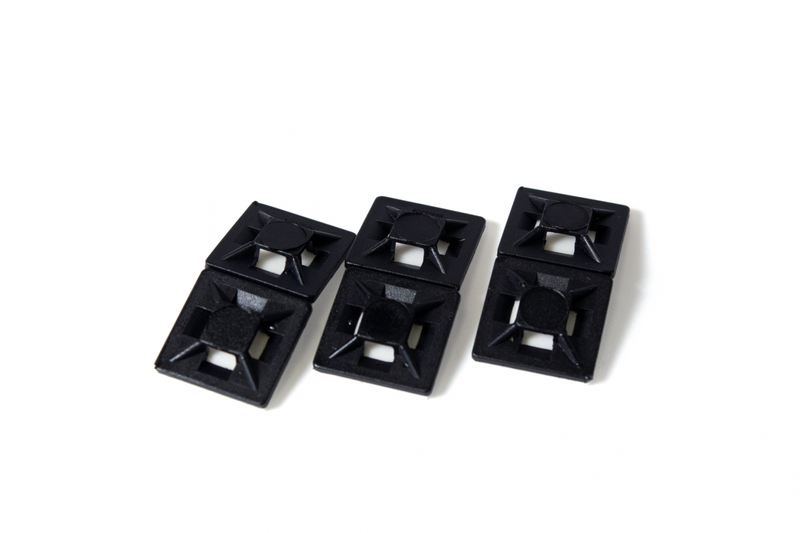 4-way entry with Maximum tie width of 5.0mm. 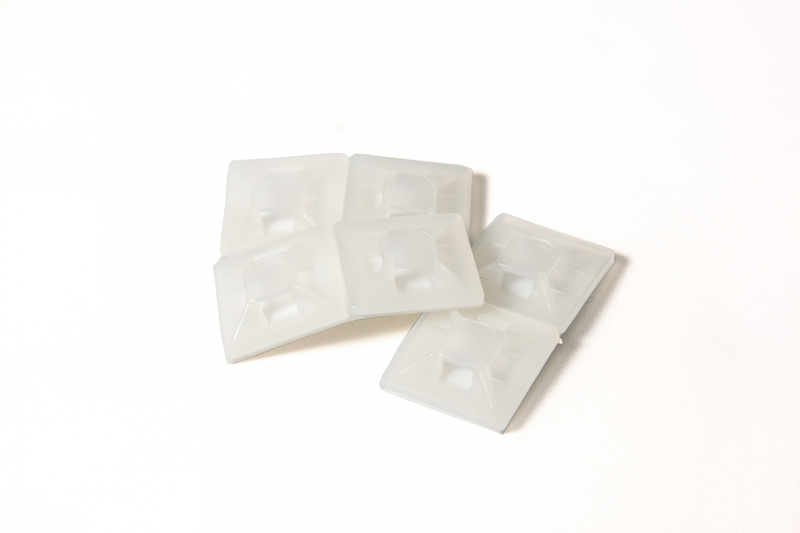 Self-adhesive Nylon 6.6 cable tie bases. Entry from four sides to facilitate error-free mounting. To ensure complete security where excessive stress or vibration is likely to occur. Available in either natural or black colour. Packed in 100 pc bags. The adhesive backing used on our 20mm has been tested in the most varied conditions and extreme temperatures. We can therefore confidently recommend their use on most smooth, dry, clean and grease-free surfaces. Recommended operating temperature -20°C to +60°C, but it is advised that the bases should not be applied when temperatures are very low.